We all know we’re going to die, but we don’t want to talk about it–or plan for it. As a result, we take–and ask our healthcare providers to take–extraordinary measures to prolong our lives and those of our loved ones. Doctors, however, don’t take these same measures. Because they encounter death more often than most people, and because they know the quality of life that follows CPR, ventilators, and feeding tubes, physicians are better prepared than the rest of us to die in peace without a pointless fight. 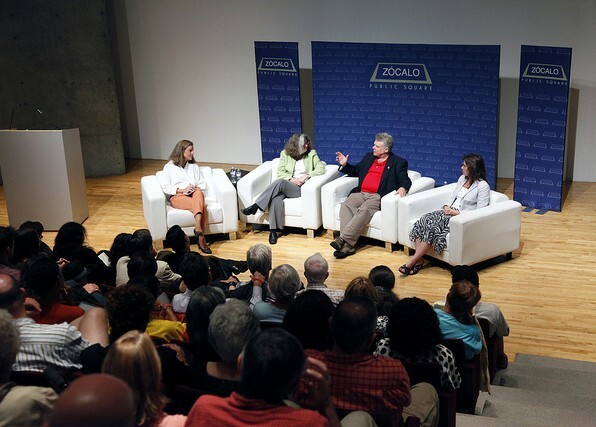 At a panel sponsored by the California HealthCare Foundation at MOCA Grand Avenue, experts in healthcare and end-of-life issues let a crowd in on the secrets that doctors–perhaps unknowingly–are keeping from patients and their families. Dr. Ken Murray, author of “How Doctors Die,” traced Americans’ lack of familiarity with death to the 1950s, when the death industry was commercialized and parlors, where dead people were laid out for wakes, were renamed living rooms. He added that, while medicine has made incredible advances in the past six decades, the way people experience healthcare in television and movies offers a false sense of the power of intervention. San Jose Mercury News reporter Lisa Krieger, the evening’s moderator and the author of a series of articles about the cost of dying in America today, asked the panelists what two or three things the audience needed to take away from the evening’s conversation. Judy Citko, the executive director of the Coalition for Compassionate Care of California, said that we should start advance care planning now. If you are 18 or older, you should have an advance directive that includes treatment preferences and values, she said. At the very least, you should name a surrogate to speak for you. This can be tricky–since the people you love may react to your illness differently from you–but the job of the surrogate “is to stand in your shoes,” no matter how emotionally difficult that may be. What questions, asked Krieger, should a surrogate, or other friends and family members who are making decisions for someone who’s very sick, be asking doctors? Murray said that the best scenario is to have the patient’s long-term primary care physician–someone he or she trusts–on hand. He also said that it’s less helpful than we think to ask a doctor, “What would you do, or what would you do if it’s your mother?” Physicians are wary of imposing their own value system onto the patient. Instead, asking clear-cut questions and demanding answers is critical. “If the doctor’s not the right person,” said Citko, “it can be helpful to bring in a social worker or a chaplain who can look at the bigger picture.” That’s because more than medical tests are at stake. Values are, too. Shirley Otis-Green, a senior research specialist at City of Hope and a social worker with experience in palliative care, recommended requesting a family meeting in which family members meet with the doctor and a team that might include a social worker, psychologist, chaplain, and nurse. It’s a chance to make sure everyone is on the same page and ask difficult questions about the future. Getting the entire family on one page can be a struggle, which is why, Citko said, the conversation should start long before a crisis and the attendant stress begins. Television can be a good conversation starter–watching someone die in a fictional setting–and so can the death of another family member. Otis-Green said that even the death of a pet could provide an opening for discussion. Still, added Murray, certain interventions can reliably be ruled out. “For terminal people, CPR is nuts,” he said. While an advance directive is hypothetical, once you are ill, you have options specifically to decline certain treatments. A POLST (Physician Orders for Life Sustaining Treatment) form, said Citko, is based on your current condition. And it can be changed at any time, added Murray. Money also plays a role in end-of-life decisions for both patients and doctors. What came to be called “death panels” were originally just a law intended to reimburse doctors for time spent talking with patients about advance-care planning, just as they are reimbursed for certain procedures that prolong patients’ lives but might not be in the patients’ best interest. Murray believes that money is “a huge driver in the aggregate,” but argued that most doctors are not driven by money in individual situations. 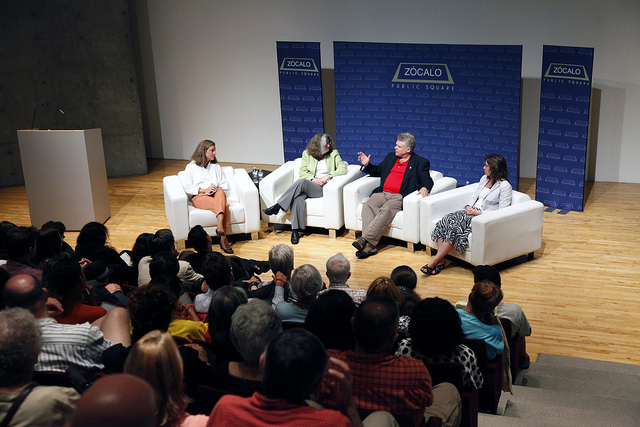 In the question and answer session, audience members asked the panel for facts, figures, and more detail. Read expert opinions on how we can take control of our final days here. Read Ken Murray’s “How Doctors Die” here and “Doctors Really Do Die Differently” here.